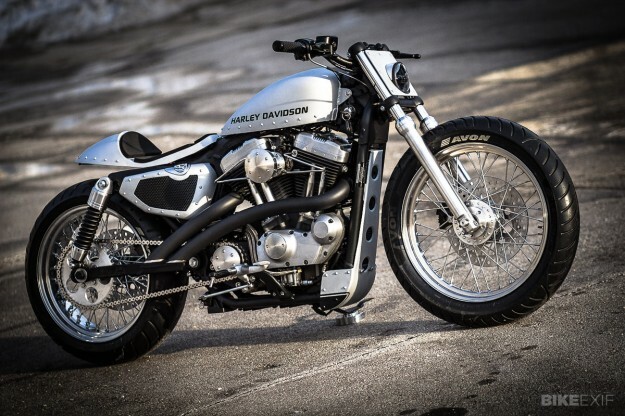 I’ve always thought that the older Nightsters are the best-looking Harley Sportster variant. The mix of dark finishes, wire wheels and blacked-out hubs gave them a subtle, low-key vibe. 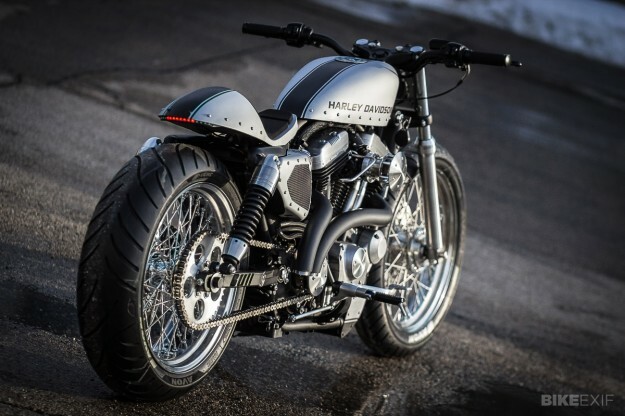 This custom Nightster is anything but subtle, though. And none the worse for it. 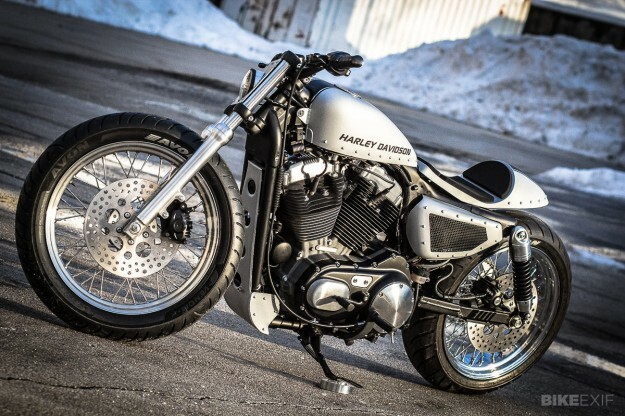 Nicknamed ‘Traffic,’ it’s the work of Chicago-based Bull Cycles, the shop run by fabrication specialist Justin Powers. 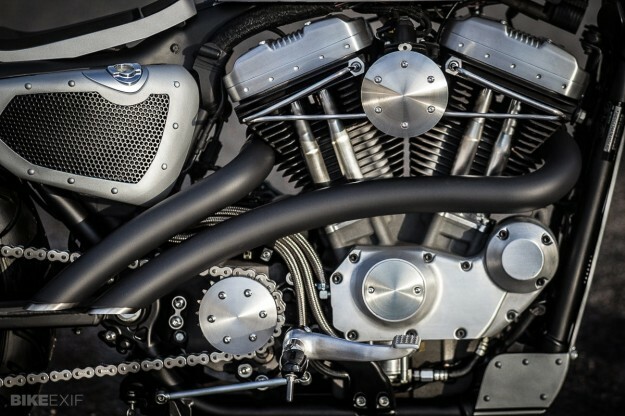 The base bike was a 2007-model Nightster. Fuel injected reliability was a big deal on this bike, so the ’07 was a must. The tank was sectioned two inches and the pump reconfigured to allow for a lower stance. 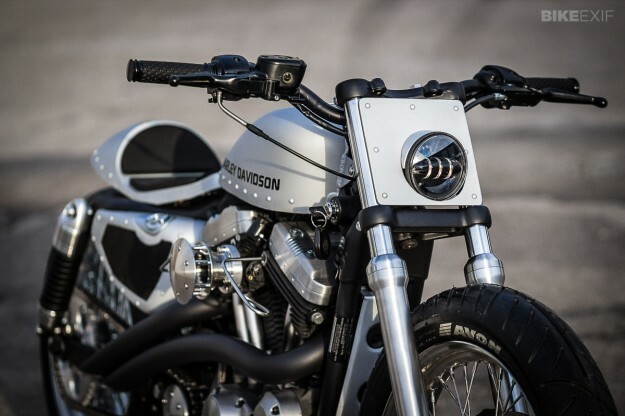 It’s far from a bolt-on special: the tail unit and side panels are hand-fabricated, and the under-mount tracker bars and LED projector headlight surround are Bull’s own design. The stock belt drive has been swapped out for a chain, and allows room for the 180-section rear rim. The paint is a flat anodized silver, and works beautifully. “There are lots of little details that make up the difference,” says Justin, who cheerfully admits to being a control freak and micro-manager. And that’s fine by us: this is one of those rare customs that rewards extremely close inspection. See more of Justin Powers’ work on the Bull Cycles website.